NYMBC Launch Party with KATHARINE McGEE at Opera Plaza! 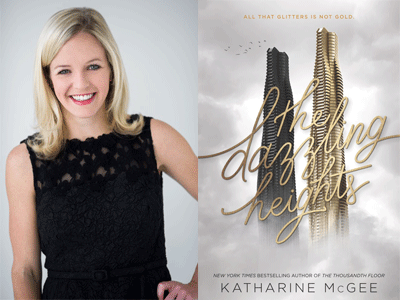 NYMBC and Books Inc. proudly present Katharine McGee, returning to the Bay Area to launch The Dazzling Heights, sequel to The New York Times-bestseller The Thousandth Floor! This continuation of the glamorous sci-fi trilogy contains even more romance, drama, secrets, and thrilling twists—and NYMBC is the only place you can get the book a day before its official release! Can't make it to the event? Pre-order an autographed copy of The Dazzling Heights! Just click the book link below and be sure to include 'Signed Copy' in the comments of your order. Katherine is also happy to personalize -- If you would like your book personalized include the name you'd like the book made out to in the comments of your order.